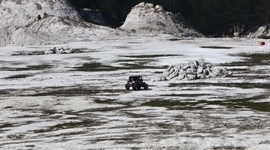 Bulgaria Offroad Competitions - News - TURKEY ALSO WITH PARTICIPANTS IN "KARDZHALI 4x4"
TURKEY ALSO WITH PARTICIPANTS IN "KARDZHALI 4x4"
The Chairman of the largest off-road organization in Turkey -ISOFF - Mehmet Becce will stand at the start of the rally - raid race in Kardzhali. He is well known for his appearance with the Bulgarian crew in "Thessaloniki Adventure Trophy" and many other races. Mehmet Becce is the main "engine" in the off road in Turkey and has participated in all off road formats in Turkey and the Balkans. 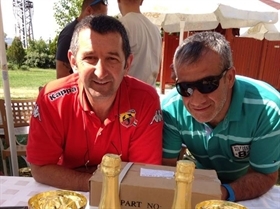 Place in the top three in the rally category will seek also Cengiz Inceli - very ambitious athlete participated in several Bulgarian competitions. His great success in the last year is a final in the top ten of the worst off-road race in the Balkans - "24 Hours of Athens ." In the rally raid category will be burst a real Balkan battle with the registered participants from Bulgaria , Greece and Turkey.